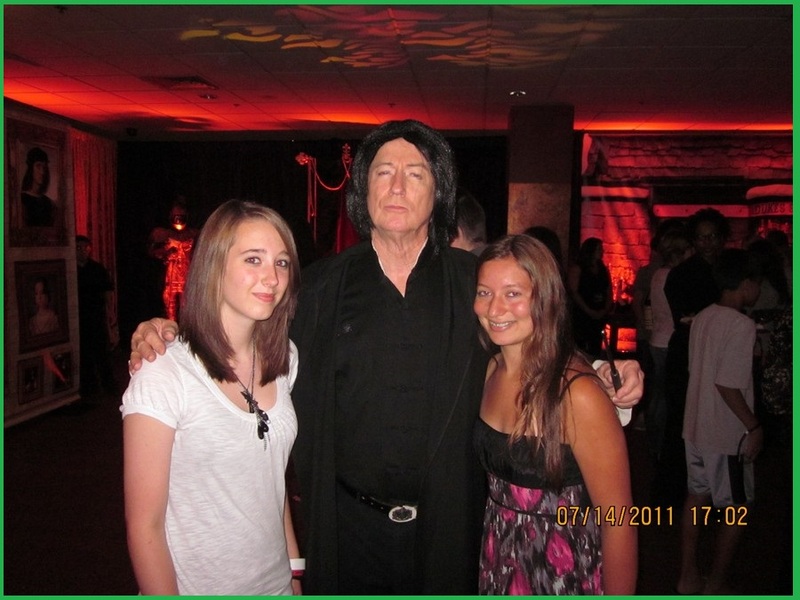 Professor Snape Impersonator Tribute Show! 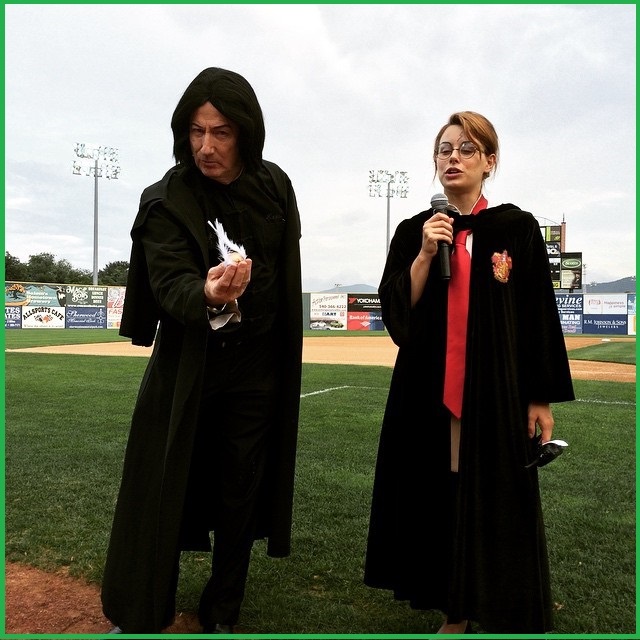 The immensely popular Harry Potter book and movie series creates a great theme for lots of exciting party and special event ideas. Not only counting the millions of Harry Potter fans of all ages, with all of the recent publicity and hub-bub over these stories, many more are familiar with the plots and recognize the central characters. 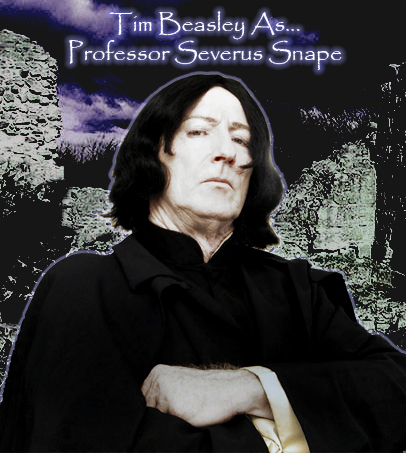 Presenting Vegas Tributes professional impersonation of one of these central characters, "Professor Severus Snape," the dark and brooding professor of potions for your parties and special events! Professor Snape in his black cloak & duster coat is a sinister sight, and his raven black hair and pale countenance conceals his true feelings and many secrets! He has very important and high profiles in each of the prior episodes and continues to be a central character throughout the series, and especially the concluding "Deathy Hallows I & II." 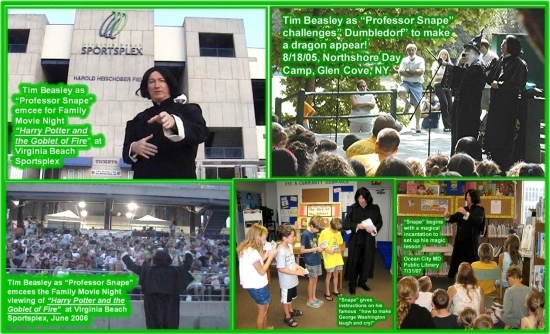 This promotional portrayal of Professor Snape is a unique appearance, as a fun figure for Harry Potter fans of all ages to enjoy meeting and getting photographs with. Compare this Professor Snape creation with the movie character and you'll see that our Snape's wicked crooked nose, sharp piercing gaze, skull-boned cheeks and sallow complexion are cloned in amazing detailed reflection...and our Snape's voice is every bit the same low octave attention getter with a proper British bite, plus like the real Snape actor Alan Rickman, tall and lean as a great sorcerer should be! As a PR specialist and promotional entertainer for years in a wide variety of "Celebrity Stars" roles. Very experienced as an emcee for such events and can conduct lots of fun contests and activities. 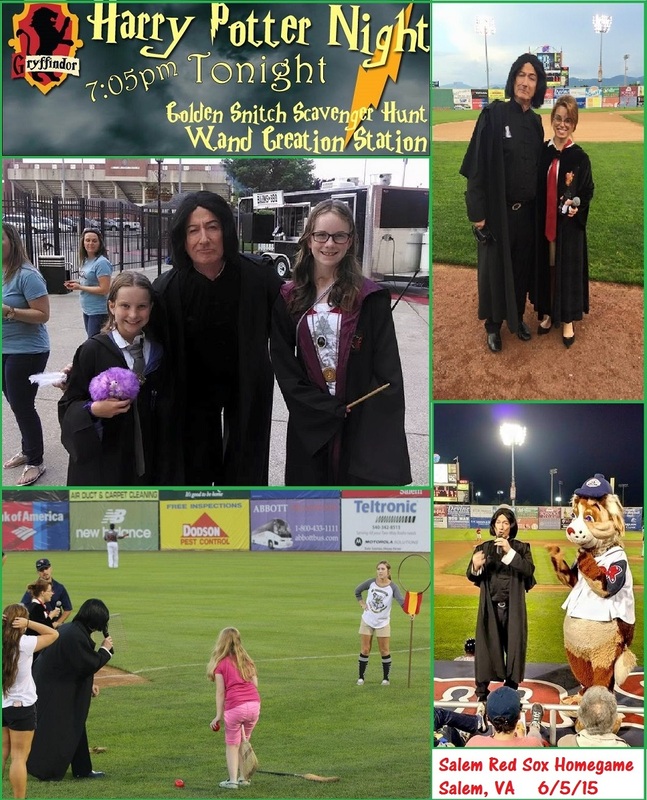 A very recent appearance of June 2015 had our "Snape" as the celebrity guest for the Salem Red Sox pro baseball team's "Harry Potter Night" family fun promotion...the following photo album is from that event, and after it are other grand examples! 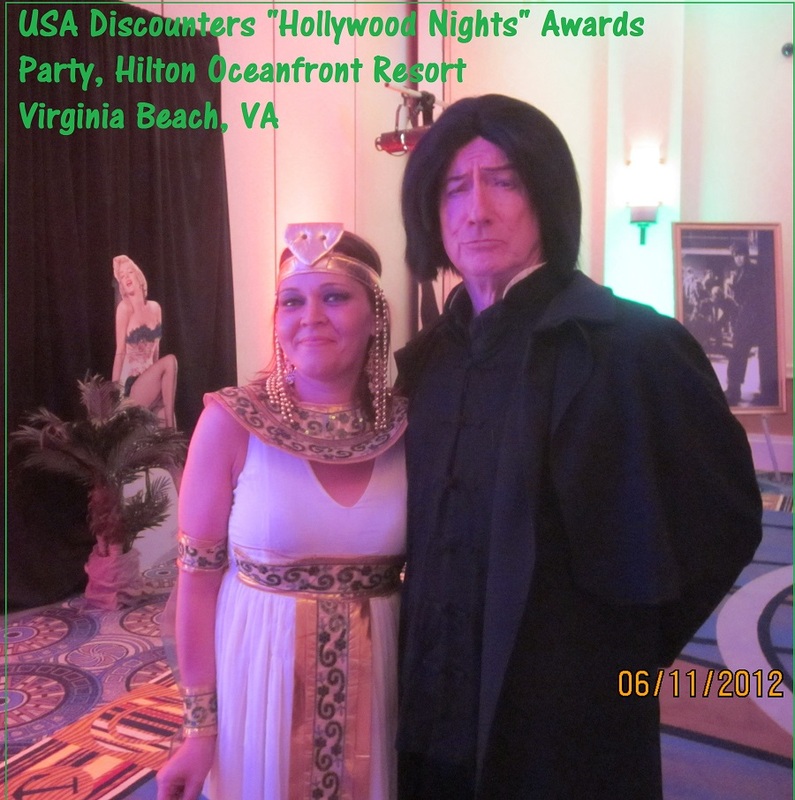 Also for truly fun mystical events, "Professor Snape' is well versed in the divine art of divining the future!!! 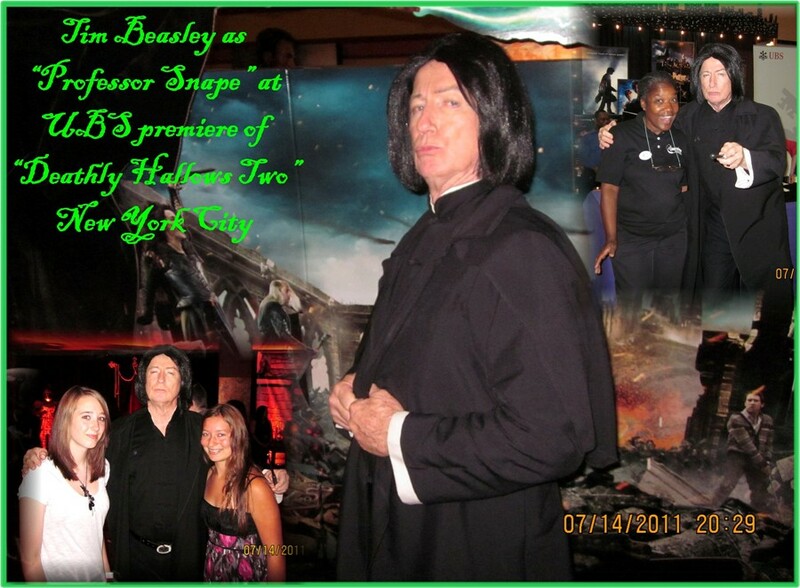 Picture your guests all wanting a one-on-one session where "Snape" can tell them what lies ahead!!! Please call, we love to talk! ...Or, text if you like!